Self-laminating tags work hard for you, so you don't have to. Exceptionally durable tags seal and protect your message saving you time and money from buying replacements! Designed to meet your needs, self-laminating tags are easy to attach in just the right way; write your message, seal it in, and use any of the eight holes to position your tag precisely where it needs to go. It’s that simple! 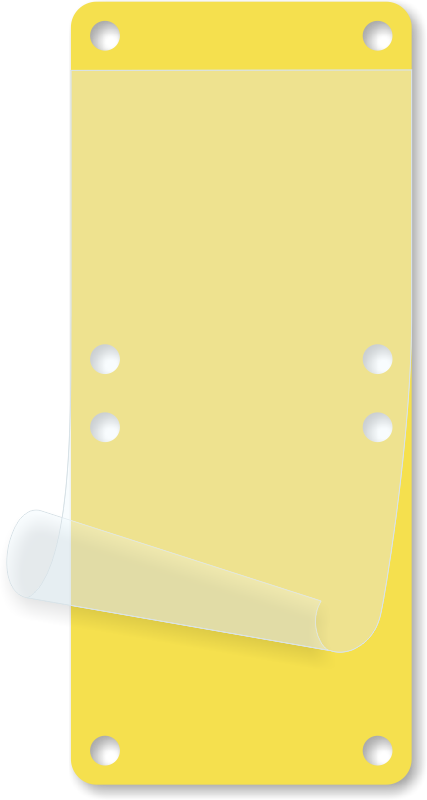 • Blank yellow tags are built from corrosive-resistant, rigid vinyl material. • Tamper resistant tags can be written on with a pen or pencil. • Lamination provides protection against the weather, abrasions, moisture and most chemicals.